The US 36 Express Lanes connect Boulder to Denver at I-25—specifically from Federal Boulevard in Westminster to Table Mesa Drive in Boulder. There is an Express Lane in each direction, alongside general-purpose lanes. 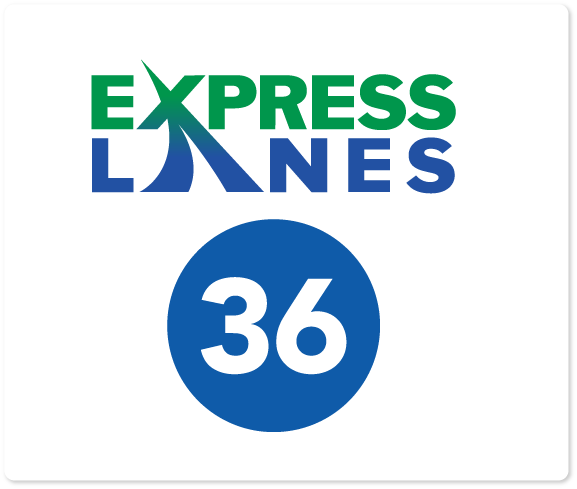 The US 36 Express Lanes connect to the reversible I-25 Central Express Lanes between US 36 and downtown Denver. Drivers can carpool, pay a toll or use the 18-mile commuter bikeway between Denver and Boulder. HOV/Carpoolers must have an ExpressToll account and Switchable HOV transponder, as well as a driver, plus two or more passengers, to use the Express Lanes for free. The Express Lanes accommodate Bus Rapid Transit (BRT). Overhead signage indicates current toll prices. Tolls are collected through ExpressToll account or through License Plate Toll.